You must make reservations at least 5 minutes in advance of the time at Side Street Inn Kapahulu. *Entrance to parking garage from Kapahulu Avenue. Aloha and welcome to Side Street Inn, Oahu’s hidden hot spot, located in the heart of Honolulu. Recognized locally as the "gathering place" for the island's best chefs since opening its doors in 1992, Side Street Inn remains a true "local bar," that dishes out simply delicious comfort food in a relaxed, unpretentious environment. With a frequent mix of famous faces, professionals and steady regulars, it's the ideal place to enjoy good food and good times with friends. Side Street Inn boasts something for everyone from sports lovers to wine connoisseurs with satellite-ready, big-screen TVs to view games and a full-bar with a vast variety of domestic and imported beers (even their own signature "Side Street Inn Rogue Ale"). Should i say more??? Lightly char-broiled on a bed of cabbage. Ssi's Big Island Smoked Pork Poke', Das' Rite, Poke! 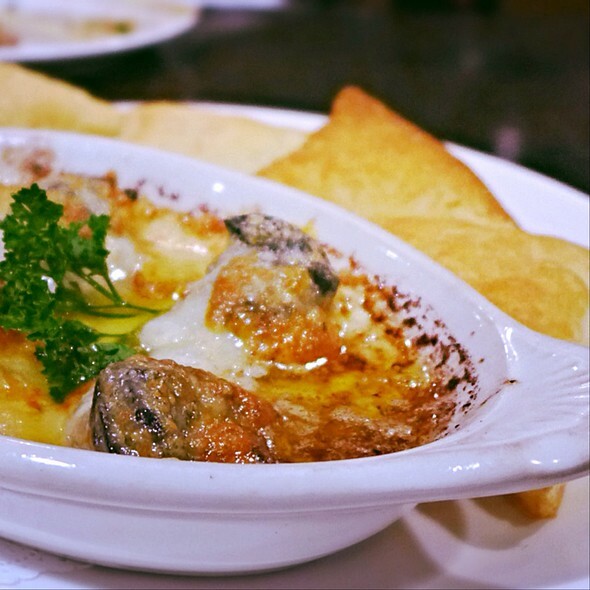 Baked in mushroom caps in garlic butter finished with havarti, mozzarella & parmesan cheese served with puff pastry. Strips of breaded calamari served with spicy marinara sauce. Battered & fried. Don't judge it, until you try it! Kalua pig sandwiches (3) lightly drizzled with lilikoi bbq sauce with slices of grilled pineapples. Button mushrooms sautéed with shallots, white wine & garlic butter topped with parmesan cheese. Order garlic bread on da' side! Golden crisped. Seasoned perfectly. Just like being in downtown. Boiled in hawaiian salt brine. Great for sharing. Mrs. Chengs island tofu. Served with bonito flakes& grated ginger. Seasoned enoki mushrooms with bonito flakes, daikon, green onions, & grated ginger drizzled with ponzu sauce. Choice of: shoestring or "crinkled" french fries. Cubed tofu with a mix of fresh greens tossed in our own oriental-style dressing. Topped off with bonito flakes & nori strips. Romaine lettuce, parmesan cheese, and herb croutons with our classic caesar dressing. Tossed with red wine vinaigrette, hau'ula vine-ripened tomatoes, and topped with fresh crumbled bleu cheese. With hau'ula vine-ripened tomatoes, balsamic vinaigrette, and topped with bacon, egg and grated white cheddar cheese. Mixed kula greens, bay shrimp, capers, maui onions, grape tomatoes, and avocado tossed in red wine vinaigrette. Topped off with okinawan potato curls. Shredded chicken breast tossed with fresh greens, bean sprouts, carrots and our oriental dressing...topped Off with wonton strips and chinese parsley. Fresh crisp romaine, italian salami and pretzels sticks. Tossed in creamy caesar dressing. Tossed salad, with a choice of house or ranch dressing. Char-broiled usda choice, served pupu style on a bed of sautéed onions & mushrooms in our house garlic butter. Tender baby back ribs basted with da' flavors of hawaii. Lilikoi or hoisin. Char-broiled, korean-style short ribs accompanied with kim chee. Always fresh cut island pork chops, seasoned then pan-fried to a golden brown. "Crispy on da' outside, juicy on da' inside!" 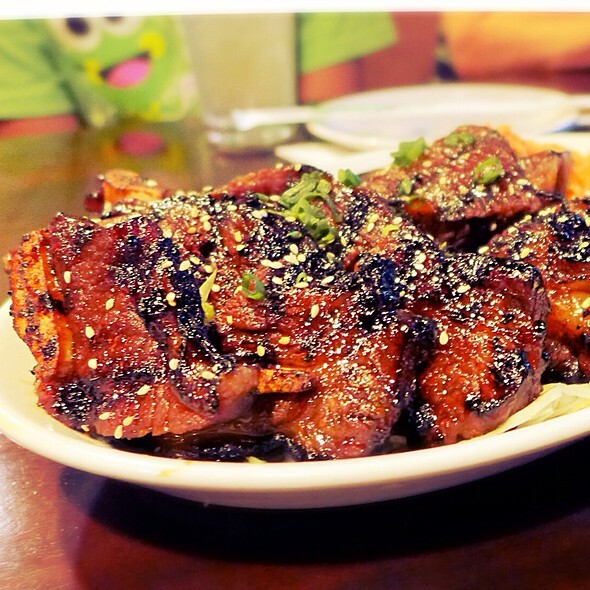 Bone-in, char-broiled, korean-style short ribs accompanied with kim chee. Grilled with a local flavor. Basted with shoyu chili water. Marinated tender slices of rib-eye of beef. Char-broiled. Served with lettuce, tomato and onions. Served with a bowl of steamed rice & all da' fixins! 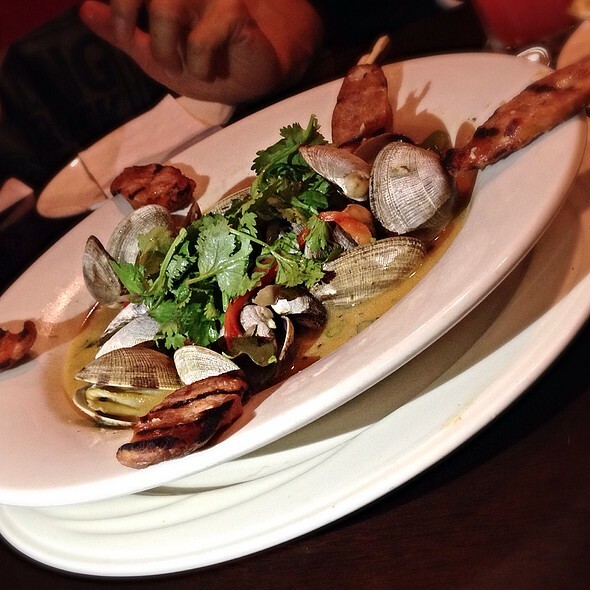 Manila clams with a local twist. Kukui's portuguese sausage, onions, red & green bell peppers & fresh cilantro. Clams sautéed with garlic butter, shallots, fresh seasonings & a hint of white wine. "Furikake Crusted" or "Basil Pesto"
Served on a bed of island fresh nalo greens. Black tiger shrimp sautéed with mushrooms, zucchini & capers in our garlic butter. Specialty filets of island ahi, seasoned then pan-fried. A local favorite! A combination of bacon, portuguese sausage, char siu, green onions, peas, & carrots. Fresh soba noodles wok-fried with garden vegetables, topped off with kamaboko, char siu, & chinese parsley. Our yakisoba, wok fried with snow peas, shiitake mushrooms, asian vegetables, vegetan fishcake and our very own roast pork. Feelin' hot, hot, hot. Served with ranch dressing. Wings marinated in da' secret concoction! Served w fries. Fried & flash dipped in a spicy garlic sauce. Marinated in our miso sauce. Marinated in our own mochiko batter. Fried crispy. 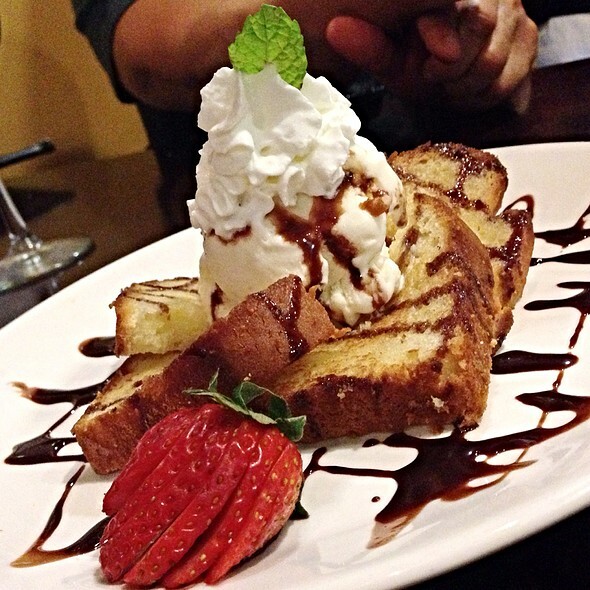 Perfect for sharing! Served with ranch dressing. Egg battered and rolled in panko flakes. Marinated in our oriental-style sauce. 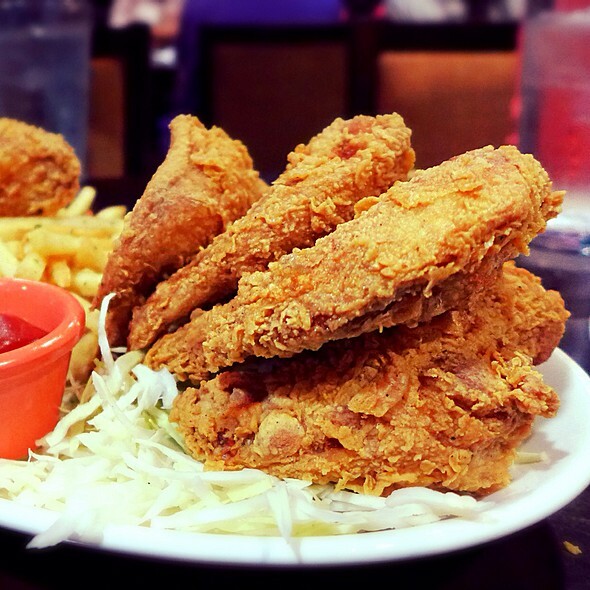 Bite-size pieces of homemade fried chicken. Served with ranch dressing & ketchup. *Consuming raw or uncooked meats, poultry, seafood, shellfish, or eggs may increase your risk of foodborne illness, especially if you have certain medical conditions and restrictions. All meat items are cooked and prepare "medium" temperature and above. **Signature-specialities needs extra cooking time! We ordered the house special fried rice and the fried chicken. The food took a long time to come out and when it finally did arrive, the rice was barely warm and the chicken had a burnt tatse to it. Overall, we were disappointed and will not visit them again. The food was really good and the portions were big. There is a pay-to-park lot next to the restaurant or you can valet park for $6. It's anybody's choice. Side Street is very popular. 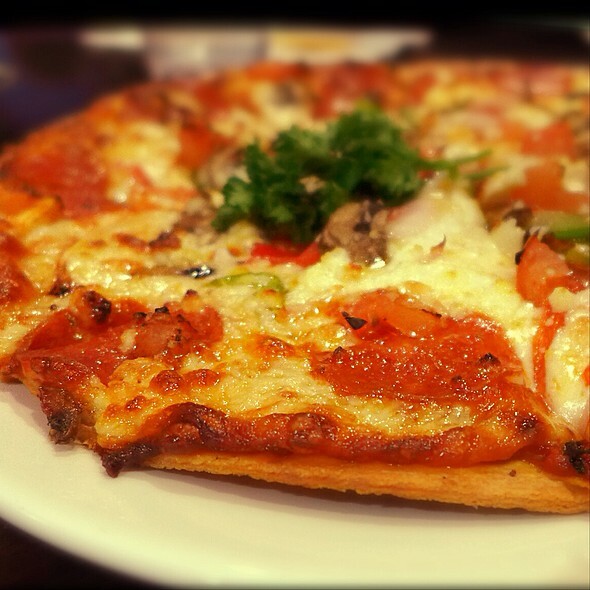 The first time I went was at you other restaurant, the service there was excellent and food good. Poke was very tasty and same way as yours, we enjoyed the poke. So I will still recommend your restaurant to friends. The food was excellent and the size portions were big and I liked that the plates were shareable. Prices were good for the amount of food that you get. Amazing. Best food in the whole city!! Our waiter was lovely too. Ono food combined with great service. Try the pork chops. You won’t be sorry. Food was amazing as always and my guests from the continental US were raving about it. Our server was on it and the restaurant was energetic and loud. I always lament the increase in prices over the year. love it. this sounds weird but i almost wish they would offer smaller size portions since going with less than 4 people really limits how much you can order. along time ago at the original location they did offer smaller portions and that was nice. no more unfortuantely. but the food is always amazing, the staff, the service.. everything is consistent. Very good meal. Great size portions made for family style sharing. As recommended to us and I would def reco this place to anyone. Great service, food quality, portion sizes were more than plenty! A highly looked forward to meal, after being amazed a few years back, fell short of expectations. Portions either Luke warm or straight from fryer. Something was off, vibe and flavors were lost. Great local treat! Glad we got to enjoy during our visit. Loved the Fried Rice and Teriyaki Beef! Thank you! Bad experiene. All the main entrees came before the appetizers. By the time we were served the appetizers, we were full from the main entrees. Poke was tasteless. Chicken and chops were dry. Teri beef was nice though. 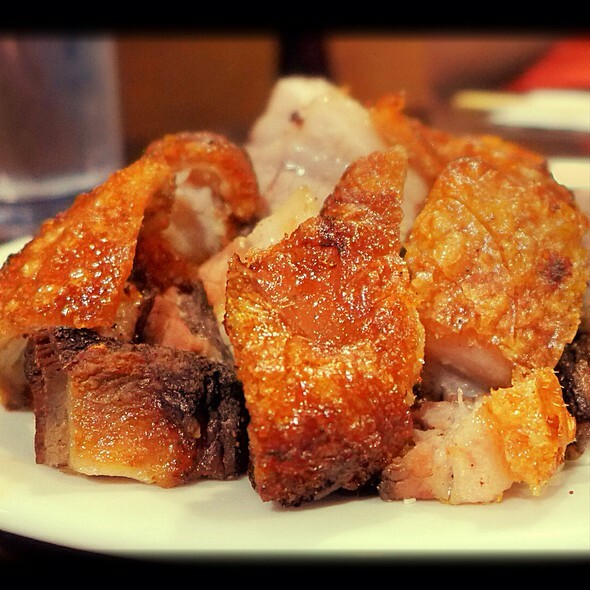 Roast pork wasnt crispy. Fish and chips was dry. Too much garlic on the garlic fries. Ordered the side street favorites- it’s a can’t miss!!! 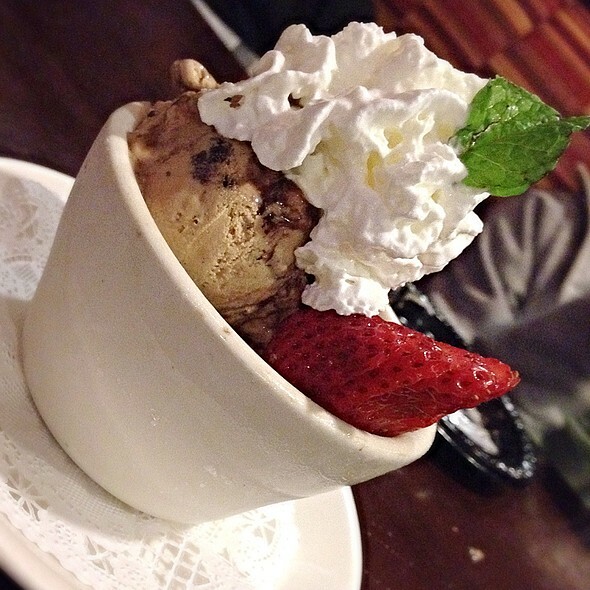 Fantastic place, great food, service like you're at best friends home! Love Side Street, a must for every visit to Oahu! As always, the food was great. People who bust tables should take more care in how they clean table. Gather food particles in wiping cloth rather than letting them fall on chair or ground. We were sharing the Side Street experience with family members from the Mainland and they were delighted. We ordered the classic family style prix fix meal and raspberry iced teas all around. The platters were abundantly full and delicious: a bountiful salad that included shrimp, capers, taro chips and a fabulous red wine vinaigrette dressing; steamed edamame; sweet and spicy fried chicken; awesome fried rice; fried pork chops and tasty BBQ short ribs. Chy's service was beyond expectation; checking on us frequently, bringing drink refills and packing up our leftovers even though she had a huge party that had just arrived. This place is a must! My out of town guests loved Side Street Inn at Kapahulu. There favorites were the fried rice and garlic chicken. Place was very busy with 3 large tables of guests. A little loud but they were having a good time. Highly recommended! this restaurant I would advise you that you will not be disappointed. Enjoy!!!! I would recommend SS Kapahulu as I've enjoyed both locations over the many years. However, I'd also say to be wary of your servers. In this last visit, disappointment is the first impression that comes to mind. This takes away from all the things your company does well. -server (caleb) not that great. friendly at first, but lacked any everything else. I've been in the industry for 30 years and the service was below par. my suggestion is to have him do customer service retraining. he did look a bit inexperienced/nervous and lacked attention to details. -he did not realize he forgot a main dish, we had to remind him (Pork Chops (popular dish) - we had placed 2 orders and it came out barely warm!!!) someone else brought the dish out and with no apology as to why it took so long. -albeit was a Saturday night i'd imagine stations may be slow, but not 20 minutes behind. -while serving the booth next to us, he told them he would not charge a $10 fee (for what ???) because he liked them better. DELICIOUS FOOD, LARGE PORTIONS! Make reservation, otherwise it's very hard to find a place. Chef Colin's Special was outstanding. Recommend all to give a try. Won't be disappointed. The kalua pork sliders were an excellent appetizer. And the pan fried pork chops were just as stated before...crispy on the outside, but juicy and flavorful on the inside. Couldn't finish them, along with the fried rice side dish. Will order something different next time just to try something new. Great Service! Food is excellent- such large portions- great for Family and friends! Always take out of town guests here first! OMG! Side Street is AWESOME! We ordered the Farmers Salad, the Works Fried Rice, Fried Pork Chops & Peanut Butter Crunch!! All the dishes were HUGE!!! i dont know if they increased the portion sizes but such a GENEROUS SERVING of everything! The salad and fried rice were a huge mound of food! 3-4 large pork chop bones that my husband loved! 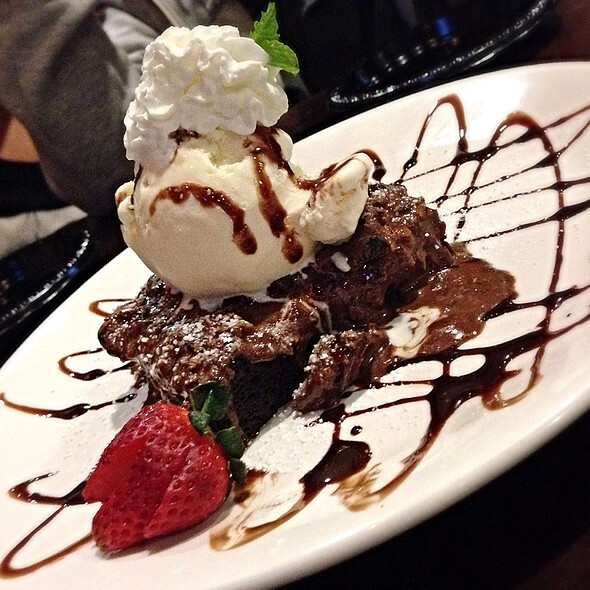 The Brownie was extra large & lots of ice cream & whipped cream! SUPER DELICIOUS! The service is GREAT too! Huge food portions served family style, make this place great for family and friends. Couples should expect to take home leftovers. Yummy pork chops are a specialty. 6 of us after work got the Prix Fixe $105, includes all our favorite dishes. We were stuffed and still had enough leftovers to pack 2 take out boxes. Great value and all was served hot & delicious!! Made a reservation for 4:45 and arrived on time. Table was not ready. The restaurant opens at 4. How can table not be ready? Only draw back. Everything else superb. Attentive waitperson quick service and LARGE family style portions. Killer Kalbi!!!!!! Loved the special fried rice and garlic fried chicken. Must visit again when coming to town. We were visiting from San Antonio, Texas! A friend told us to check it out and we did and loved it!! Our waiter gave very good suggestions WHEN they were dishes he was familiar with. We ordered the Mahimahi. All our food was out except for the fish. Our waiter said it would be about 3-4 more minutes. It took about 15 minutes, and everyone was pretty much done eating.